Dada is a confusing art movement. It's supposed to be, that's kind of the point. This makes it a really fun area to explore with kids, since they are usually amused by random, absurd, and nonsensical ideas. Mimi's Dada Catifesto is a great introduction to Dada. It's a fun story about Mimi the Cat. She's no ordinary cat... she's an artistic cat. She finds a man (a Dada artist) and she uses her clever and creative ideas to make him realize that she should be his cat. There are fun prompts for kids to create their own Dada inspired sound poem, and to look around and find a "ready-made" like the ones that Marcel Duchamp used to display. There's a great summary at the end of the story explaining Dada a little more, and introducing some of the movement's star artists. The author, Shelley Jackson, also includes a few resources that will be helpful if you choose to explore Dada more on your own. Check it out at your library, or look for it in your local book store. I think this one will be a hit with your elementary aged kids! Let's connect! Did you read it? What did your kids think!? 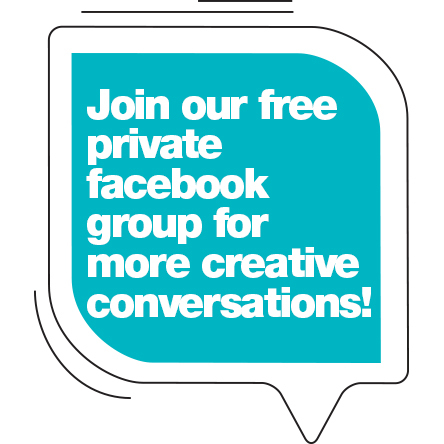 Come join us in the facebook group, and let's chat!